Part 5: Chicago’s 100 Matrimonial Agencies–all shut down by one Police Detective, Clifton Wooldridge. ONE HUNDRED FALSE Matrimonial Agencies in Chicago at the Turn of the Century? 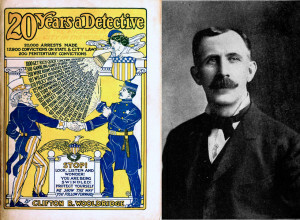 Snippet from the title “Twenty Years a Detective”, detailing the detective’s achievements. 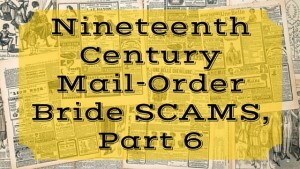 Note the two new crime method additions (as addressed in my series of Nineteenth Century Mail-Order Bride SCAMS, Parts 1-5 so far): stock matrimonial letters and stock matrimonial photographs— more than one million, each. You’ll learn more about this in the PBS video transcript, below. The final paragraph of an article reporting Wooldridge’s resignation from the Chicago Police Force. The Inter Ocean, Chicago, Illinois, 28 December 1909. The Inter Ocean, Chicago, Illinois. 30 May 1905, page 7. 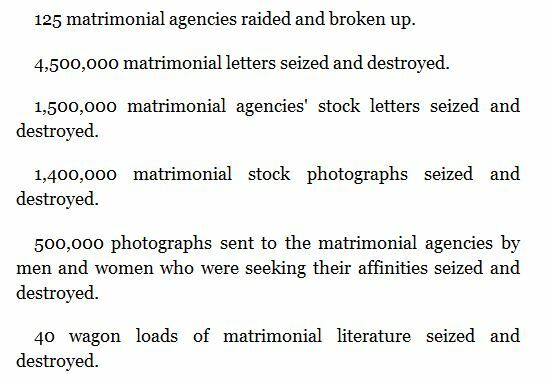 Apparently a few of the stock matrimonial photographs survived, though a huge shipment to a mining town in the American Southwest was interrupted by Detective Wooldridge and destroyed, no doubt contributing to the staggering figure of 1,400,000 such images taken out of circulation. 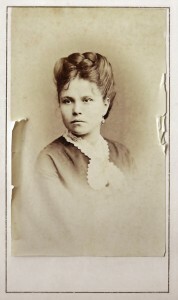 One such surviving (rare) photograph was presented to an antique dealer, in search of clarification, information, and no doubt, the photo’s value. You’ll find a video and transcript of that PBS show here. Era-appropriate photograph. 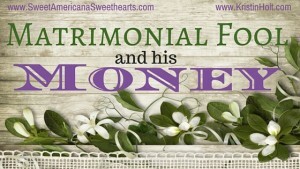 Not one of the stock marriage images… but one to represent them. Having worked the Chicago streets and seen it all, Wooldridge was a man on a mission, intent on stopping people from falling prey to thieves. He wrote numerous books detailing crimes he’d witnessed in the sincere hope of preventing further victims. Titles included: Hands Up! In the World of Crime, and The Devil and The Grafter and How They Work Together to Deceive, Swindle and Destroy Mankind. He wrote a list of tips called Detective Clifton R. Wooldridge’s ‘Never-Fail’ System for Detecting and Outwitting All Classes of Grafters and Swindlers [note: this digital edition claims to contain all 4 of Wooldridge’s titles together, available on Googleplay for $2.51]. As a side note, it seems universally true that the lives of officers of the law seldom grant Conjugal Felicity (marital joy/bliss as referenced in an earlier article). 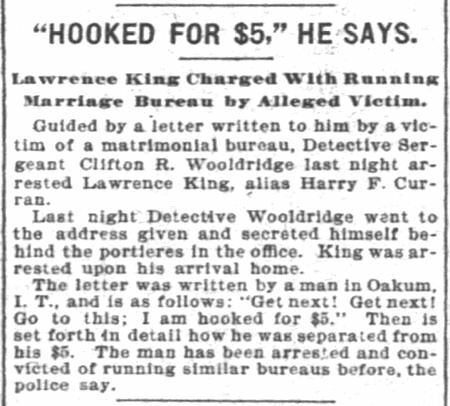 Detective Wooldridge may have worked tirelessly to rid Chicago of marital scams, but his own marriage was no joyride in the park. Clara E. Wooldridge vs. Clifton r. Wooldridge. Bill of divorce for cruelty. Reported in InterOcean, Chicago, Illinois. 28 March 1888. Clara E. Wooldridge asserts Clifton R. Wooldridge kept her boarders away so they couldn’t witness to his cruelty. reported in Chicago Daily Tribune, Chicago, Illinois, 21 August 1889. 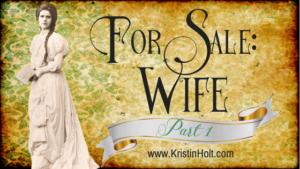 I’d love to know what YOU think about this series of articles and the scams surrounding many of the marriage agencies in the late 19th Century. As the commenting closes after 2 weeks, feel free to click the site’s CONTACT tab and send me an email. 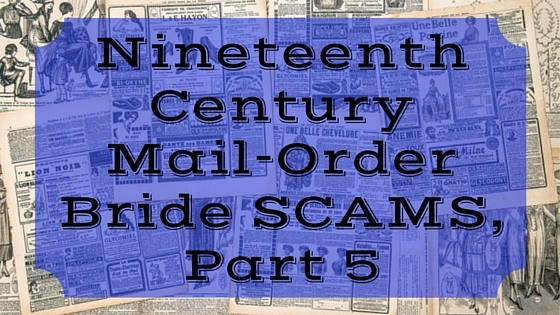 Do you see connections between today’s online dating sites and the 19th Century “love through the mail” bureaus and agencies? including several scams Detective Wooldridge put a halt to as he arrested the perpetrators.